José Ricardo Álvarez… Married Kairely Petitti (10/29/16)…Has one daughter, Emma Daniela (3/25/17)… Hobby: Watching soccer on TV… Signed by: Alejandro Rodríguez. Matched career-high pitching in exactly 64 games for Angels for third consecutive season ... Recorded first career Major League save Apr. 28 at Texas…First lefty to earn a save for Angels since Scott Downs on July 23, 2012 at Kansas City ... Stranded 29 of 35 of inherited runners on the season...Among left-handers, his 83% stranded rate ranked sixth in the Majors (min. 30 IR) ... Set new career high with streak of 15 consecutive scoreless appearances (15.1 IP) from June 29-Sept. 8 ... Opened the regular season on Angels roster and led A.L. with 40 appearances at time of first option to Triple-A Salt Lake on June 30 ... Pitched in nine games across three sti nts for Salt Lake, including seven scoreless appearances ... Appeared in four games for Team Venezuela during the World Baseball Classic...Did not factor in a decision and pitched to a 2.25 ERA (4 IP - 1 ER) with two walks and three strikeouts. Led Angels relievers in games (64 - matches career-high), innings pitched (57.1) and strikeouts (51)...Set new career-best, pitching to a 3.45 ERA (57.1 IP - 26 ER)...Had 12 game streak without being charged with an ER from July 31 - Sept. 4 (career-long streak is 14 from Sept. 25, 2015 - April 17, 2016)...Stranded 31 of 43 inherited runners (72.1%)...Earned win on May 19 vs. Dodgers aft er working 1.2 scoreless innings with two strikeouts...Had streak of nine consecuti ve appearances (10.1 IP) without being charged with a run from April 24 - May 12. Pitched in 64 games for Angels in fi rst full Major League season and compiled a 4-3 record and 3.49 ERA (67 IP - 26 ER). Established career highs in wins, games, innings pitched and strikeouts (59). Compiled a 2.65 ERA (34 IP - 10 ER) in 32 appearances at home, compared with a 4.36 ERA (33 IP - 16 ER) on the road. Stranded 23 of 35 inherited runners. Ranked ti ed for fi ft h among left -handed A.L. relievers with four wins. Led Angels relievers and ranked ti ed for sixth in American League with 19 relief appearances of more than one inning pitched. Had a HBP in three straight games from April 10-14…Third reliever in Angels history to do so, joining Mel Queen (1971) and Hector Carrasco (2006)...Became fi ft h reliever since 1914 with 4+ HBP through his teams' fi rst 18 games…Only reliever with more was Grover Lowdermilk (5 HBP in 1919 St. Louis Browns fi rst 18 games). Was not charged with an earned run in 16 of fi nal 17 appearances of season...Pitched to a 0.84 ERA (10.2 IP - 1 ER) in that span from Sept. 2 through the end of the season. Appeared in a total of nine games in the Angels' system, missing majority of season with an elbow injury...Opened season at Triple-A Salt Lake and made two starts with Bees before being promoted to Angels April 13...Made Angels debut April 14 vs. Oakland and retired both of his two batters faced (Josh Reddick strikeout and Daric Barton flyout)...Faced one batter in relief appearance the following evening and allowed go-ahead two-RBI single to Derek Norris after inheriting a bases loaded situation in 8th inning...Optioned back to Salt Lake April 18...Made four starts during second stint of season with Salt Lake, going 0-1 with a 6.00 ERA (21 IP - 14 ER)...Placed on disabled list by Salt Lake May 14 (retro to May 10) with an elbow strain...Made one rehab appearance with Arizona League Angels Aug. 26, tossing one scoreless inning. Appeared in 14 games with the Tigers as he spent the majority of the 2013 season with Triple A Toledo...Named the Tigers Minor League Pitcher of the Year as he finished fourth in the International League with a 2.80 ERA and 7.89 strikeouts per nine innings, while he was fifth with a .235 batting average against and 1.79 walks per nine innings...Tabbed as having the best changeup and control in the International League by Baseball America...Had his contract purchased from Toledo prior to the game on June 9 versus Cleveland...made his major league debut and earned his first major league win the same day -- became the first Tigers pitcher to win his debut since Alfredo Figaro in 1999...Became one of four Tigers pitchers since 1916 to go six-or-more innings while giving up one-run-or-less in his major league debut, joining Justin Thompson (1996), Pat Thompson (1979) and Joe Sullivan (1935)...Appeared in five games out of the bullpen for the Tigers in September, posting a 2.70 ERA (6.2IP/2ER) and five strikeouts...Limited lefthanded hitters to a .265 batting average (13x49)... righties hit .287 (29x101) against him. Spent the entire 2012 season with Double A Jacksonville in the Miami Marlins organization. ... Tied for the lead in the Southern League with three complete games. ... Led all Southern League starters with 1.66 walks per nine innings, while he finished fourth with 11.50 baserunners pernine innings. ... Sidelined April 7-20 with a left rotator cuff strain. ... Tabbed the Southern League Pitcher of the Week for June 18-24 after he earned the win in his lone start during theweek on June 22 versus Tennessee, fanning five batters and allowing two hits in eight shutout innings. ... Compiled a 1-2 record and 2.73 ERA (29.2IP/9ER) in five starts during June ... Sidelined July 3-15 with a left groin strain. ... Tossed a two-hit shutout on August 7 versus Montgomery -- tied for the lead in the Southern League with one shutout. ... Saw action in 17 games (seven starts) with Anzoategui in the Venezuelan Winter League following the season, postinga 2-4 record and 2.49 ERA (47.0IP/13ER). Went 6-4 with a 3.16 ERA (74.0 IP/27 ER) in first half of season for single-A Jupiter, earningFlorida State League All-Star honors. Made just two appearances (one start) afterbreak before promotion to double-A Jacksonville...Made debut with Suns on July 2 vs. Birmingham; did not factor in decision after allowingfive runs (one earned) on seven hits and three walks with seven strikeouts...Began stretch at Jacksonville with a 0-2 mark and a 5.68 ERA (19.0/12) over first four starts. Earned first win on July 27 at Carolina,but went 1-4 with a 5.44 ERA (41.1/25) over final seven starts. In 2010 for single-A Greensboro, was 3-1 with a 6.46 ERA (30.2/22) in 13 appearances out of bullpen and 7-2 with a 2.44 ERA(77.1/21) in 13 starts. Earned a win in four of final five appearances (three in starts)...Prior to All-Star break, was 6-2 with a 3.69 ERA (63.1/26) and 62 strikeouts; after break, went 4-1 with a 3.43 ERA (44.2/17) and 51strikeouts...Won four consecutive starts from May 27-June 11. Struck out 22 and walked six over span, with a 2.49 ERA (25.1/7). In 2009 for short-season Lowell, tossed complete-game (7.0 IP) shutouts in two of final four starts (August 12 at Jamestown andSeptember 2 at Oneonta). Was 4-1 with a 1.70 ERA (37.0/7), four walks and 33 strikeouts after August 1 (six starts)...Led Boston farm system and was third in Gulf Coast League in ERA in 2007...Won Boston's Minor League Latin Program Pitcher of the Year award in 2006. Surrendered one earned run or less in 13 of 15 outings,and just two earned runs in final 28.0 innings of season (six games, four starts). Spent the entire 2008 season with Single A Greenville ... Sidelined July 8-29 with a back muscle strain ... Posted a 4.00 ERA (9.0IP/4ER) in four games with Anzoategui in the Venezuelan Winter League following the season. Third in the Gulf Coast League with a 1.84 ERA as he spent the entire 2007 season with the Gulf Coast League Red Sox ... Finished 3-0 with a 1.38 ERA (26.0IP/4ER) in five outings (three starts) during August ... Saw action in 11 games (five starts) with Anzoategui in the Venezuelan Winter League following the season, compilinga 1-0 record and 3.42 ERA (26.1IP/10ER). Made his professional debut with the Venezuelan Summer League Red Sox during the 2006 season ... Compiled a 1-1 record and 0.73 ERA (24.2IP/2ER) in five outings (three starts) during August ... Appeared in nine games (two starts) with Oriente in the Venezuelan Winter League following the season, posting a0-1 record and 14.09 ERA (7.2IP/12ER). December 6, 2018 Philadelphia Phillies traded RHP Luis Garcia to Los Angeles Angels for LHP Jose Alvarez. August 21, 2017 Los Angeles Angels recalled LHP Jose Alvarez from Salt Lake Bees. August 9, 2017 Los Angeles Angels optioned LHP Jose Alvarez to Salt Lake Bees. August 7, 2017 Los Angeles Angels recalled Jose Alvarez from Salt Lake Bees. July 26, 2017 Los Angeles Angels optioned LHP Jose Alvarez to Salt Lake Bees. July 14, 2017 Los Angeles Angels recalled Jose Alvarez from Salt Lake Bees. June 30, 2017 Los Angeles Angels optioned LHP Jose Alvarez to Salt Lake Bees. July 19, 2016 Los Angeles Angels recalled Jose Alvarez from Salt Lake Bees. July 4, 2016 Los Angeles Angels optioned LHP Jose Alvarez to Salt Lake Bees. January 30, 2015 LHP Jose Alvarez assigned to Venezuela. October 13, 2014 Jose Alvarez roster status changed by Los Angeles Angels. October 9, 2014 LHP Jose Alvarez assigned to Caribes de Anzoategui. September 29, 2014 Los Angeles Angels recalled Jose Alvarez from Salt Lake Bees. September 18, 2014 Salt Lake Bees activated LHP Jose Alvarez from the 7-day disabled list. August 26, 2014 Salt Lake Bees sent LHP Jose Alvarez on a rehab assignment to AZL Angels. April 18, 2014 Los Angeles Angels optioned LHP Jose Alvarez to Salt Lake Bees. April 13, 2014 Los Angeles Angels recalled Jose Alvarez from Salt Lake Bees. March 29, 2014 Los Angeles Angels optioned LHP Jose Alvarez to Salt Lake Bees. December 28, 2013 LHP Jose Alvarez assigned to Caribes de Anzoategui. September 3, 2013 Detroit Tigers recalled LHP Jose Alvarez from Toledo Mud Hens. August 29, 2013 Detroit Tigers optioned Jose Alvarez to Toledo Mud Hens. August 21, 2013 Detroit Tigers recalled Jose Alvarez from Toledo Mud Hens. August 17, 2013 Detroit Tigers optioned Jose Alvarez to Toledo Mud Hens. August 16, 2013 Detroit Tigers recalled Jose Alvarez from Toledo Mud Hens. July 6, 2013 Detroit Tigers optioned Jose Alvarez to Toledo Mud Hens. June 20, 2013 Detroit Tigers recalled Jose Alvarez from Toledo Mud Hens. June 10, 2013 Detroit Tigers optioned Jose Alvarez to Toledo Mud Hens. June 9, 2013 Detroit Tigers selected the contract of Jose Alvarez from Toledo Mud Hens. November 8, 2012 Detroit Tigers signed free agent LHP Jose Alvarez to a minor league contract and invited him to spring training. 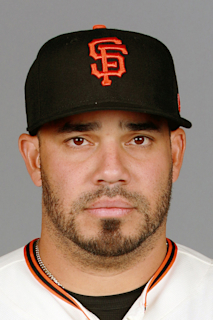 November 2, 2012 LHP Jose Alvarez elected free agency. July 15, 2012 Jacksonville Suns activated LHP Jose Alvarez from the 7-day disabled list. April 20, 2012 Jacksonville Suns activated LHP Jose Alvarez from the 7-day disabled list. April 9, 2012 Jacksonville Suns placed LHP Jose Alvarez on the 7-day disabled list. January 20, 2012 Miami Marlins invited non-roster LHP Jose Alvarez to spring training. July 1, 2011 LHP Jose Alvarez assigned to Jacksonville Suns from Jupiter Hammerheads. April 5, 2011 Jose Alvarez assigned to Jupiter Hammerheads. February 1, 2011 LHP Jose Alvarez assigned to Venezuela. November 5, 2010 Los Angeles Angels signed free agent LHP Jose Alvarez to a minor league contract. November 4, 2010 LHP Jose Alvarez elected free agency. October 4, 2010 LHP Jose Alvarez assigned to Caribes de Anzoategui. August 26, 2010 Greensboro Grasshoppers activated LHP Jose Alvarez from the 7-day disabled list. July 29, 2010 Greensboro Grasshoppers placed LHP Jose Alvarez on the 7-day disabled list. Eye irritation. April 2, 2010 LHP Jose Alvarez assigned to Greensboro Grasshoppers from Jamestown Jammers. October 9, 2009 LHP Jose Alvarez assigned to Caribes de Anzoategui. June 3, 2009 Jose Alvarez assigned to Lowell Spinners from Salem Red Sox.